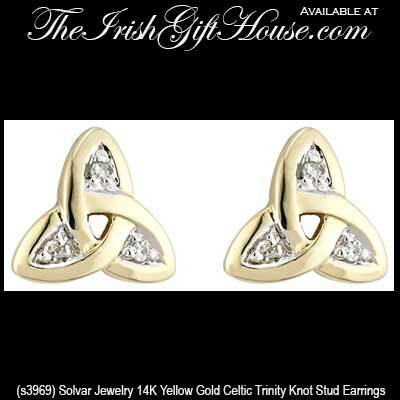 Celtic stud earrings are small gold Trinity knots that are enhanced with diamonds. These 14K gold Celtic earrings feature Trinity knot studs, complete with push on butterfly backs, that are bejeweled with diamonds. 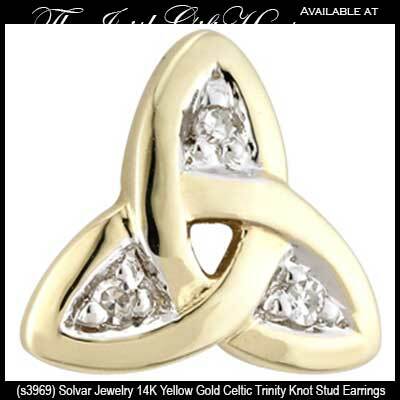 The Trinity earrings measure 5/16” wide x 5/16” tall and are made by Solvar Jewelry in Dublin, Ireland.